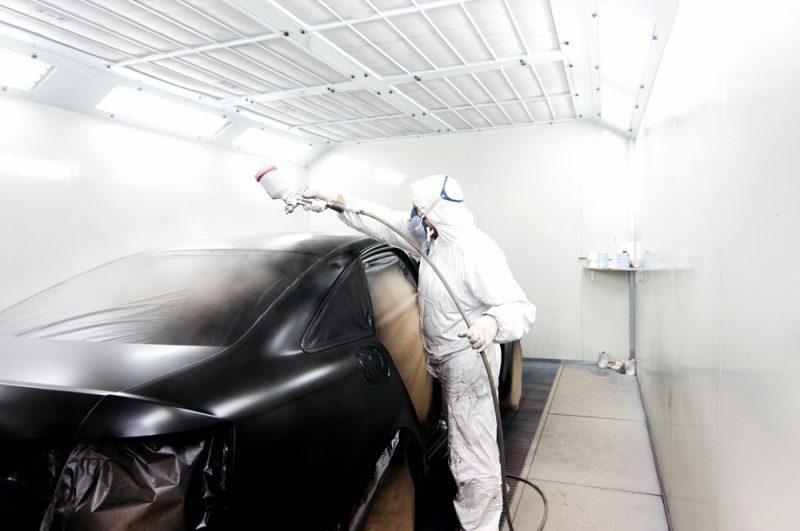 A vehicle presents a wide range of substrates to be protected and decorated with coatings. From bodywork and bumpers to wheels and suspension components, automotive powder coating is becoming more and more the coating of choice for the industry. It is durable, efficient, environmentally friendly, and attractive. Increasingly the coating industry is turning to greener and more efficient coatings as regulations and attitudes change. Automotive powder coating can be OEM-applied or refinish, with the vast share of the market being OEM coatings. In this article we take a look at automotive powder coating, both OEM-applied and refinish, and its various benefits and applications. We also take a look at the companies leading the automotive powder coating industry in the UK. Powder coating is a coating process where paint is applied to a substrate in the form of a dry powder which cures through baking. Baking causes the dry powder to melt and flow, forming bonds with the substrate and crosslinking to create a hard and resilient barrier. Coating a vehicle is a complex process. With many different substrates with different needs, a vehicle requires a variety of specially formulated coatings in order to perform at its best for the longest possible time. 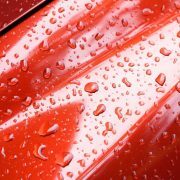 The automotive industry still predominantly relies on liquid paints for its coatings, although changing regulations and more efficient coatings are having some effect. Body paint can include a powder coating primer and clear coat. Performance – Powder coatings are durable and more resistant to corrosion, scratches, abrasion, and damage than liquid paint. They also have excellent colour retention, gloss retention, and do not run or drip. Environmentally and health friendly – Unlike liquid paints, powder coating emits zero or near-zero VOCs, and, because overspray can be collected and recycled, no hazardous wastes. It is also solvent-free. Cost and time efficient – Single coat applications, thin or thick film applications, a fast cure time, and lower material and operational costs are all benefits to powder coating. OEM protective primer and clear coat – As a metal substrate that is exposed to all the elements, corrosion is serious concern for vehicles. As well as a corrosion resistant e-coat, a powder coat primer layer is applied which provides stone chip protection and prevents damage from breaking through to the bare substrate. The final clear coat can also be powder, using the chemical resistant, weather resistant, and UV stable properties to seal and protect the underlying layers. Heat resistant powder coating – There are plenty of substrates on a vehicle that are exposed to high heat. To protect these substrates from possible damage, the can be coated with heat-resistant powder coating. The powders are usually epoxy and silicone-based and provide heat resistance for temperatures ranging from 200oC to 550oC. Exhausts and engine parts principally benefit from this treatment. Underbody coating – The underside of a vehicle is particularly vulnerable to damage and corrosion and it needs to withstand everything the road can throw at it. A powder coat’s corrosion resistant and tough finish protects the underbody from this. Aftermarket parts and refinish – A large section of the consumer market for automotive powder coating is aftermarket refinish. Wheels, grilles, carburetor parts, engine casings, radiators, and plenty more aesthetic details can be powder coated in specialty garages and shops. Automotive coatings is a big industry, and many manufacturers and companies operate across the UK. AkzoNobel’s powder coating brand Interpon manufacture a product series designed especially for wheel manufactures, called Interpon A4000. Axalta produces powder coatings for transportation through their brand Alesta. This includes bodywork, interior plastic coating and special coatings for commercial vehicles, buses, and trains. HMG Paints produces powders for heat resistance, as well as decorative car component powders. PPG is another big name in automotive powder coatings, with OEM automotive and transportation coatings. The top five automotive refinish coatings companies are Axalta Coatings (Cromax, Spies Hecker, and Standox), AkzoNobel (Sikkens, Dynacoat, and Wanda), BASF (Glasurit, LIMCO), PPG Industries, and Sherwin-Williams. The powder coating industry is driving innovation in automotive coatings, chiefly as a greener, lower-carbon footprint, more cost efficient alternative to liquid paint. AkzoNobel and Citroën recently partnered in producing the first ever full body monocoat powder coating to be used on a passenger vehicle in Europe. The matt black textured coating is still in design stages, but the face of automotive powder coating is changing. The top companies form partnerships with auto manufacturers for OEM application, or provide refinish paints to applicators, working together to provide customers with the best possible portfolio of products and services. 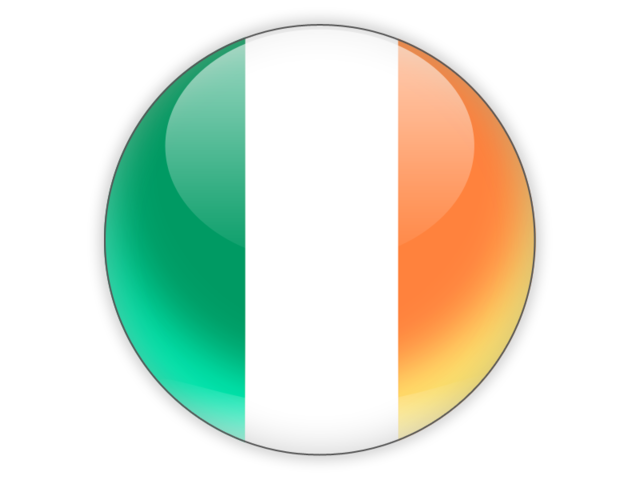 If you have an automotive powder coating project and would like to be connected with one of our partners, get in touch! Our experts are here to help. Just click the “Request a Quote” button below and take advantage of our 100% free quote service. Let us, in cooperation with our coating partners, find the coating solution for your needs.